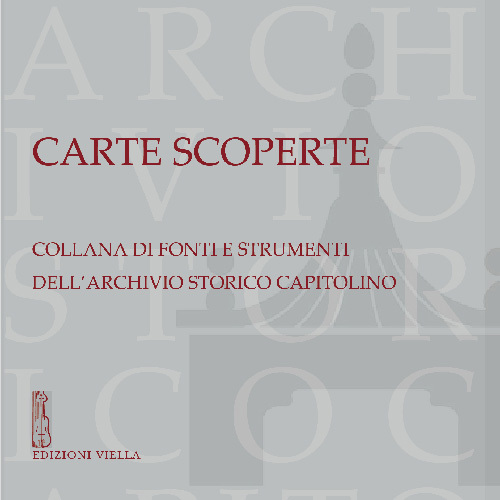 The Archivio Storico Capitolino has the task to preserve, mantain and make available the documentation produced by the Municipality of Rome. It was set up on the Capitol between 1874 and 1898, and was moved to the present location of the Roman Oratory in 1922. The Archivio Storico Capitolino houses, together with ancient documents the maps that were produced by the Municipality over time, a number of family archives, the Roman Library, and the Roman Newspaper and Periodical Library. The Archivio Storico Capitolino is a center for the study of the history and culture of Rome from the Middle Ages to the present. 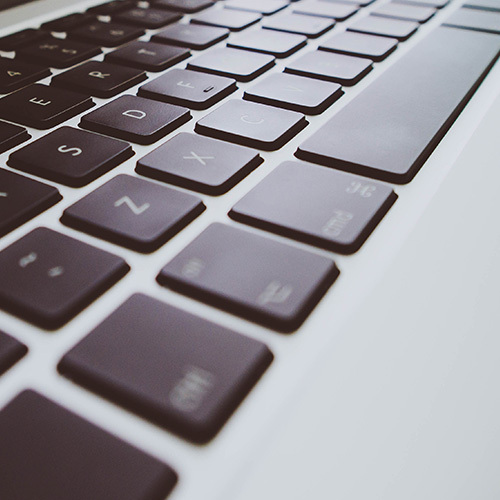 It collaborates with Universities and other national and foreign cultural Institutions. 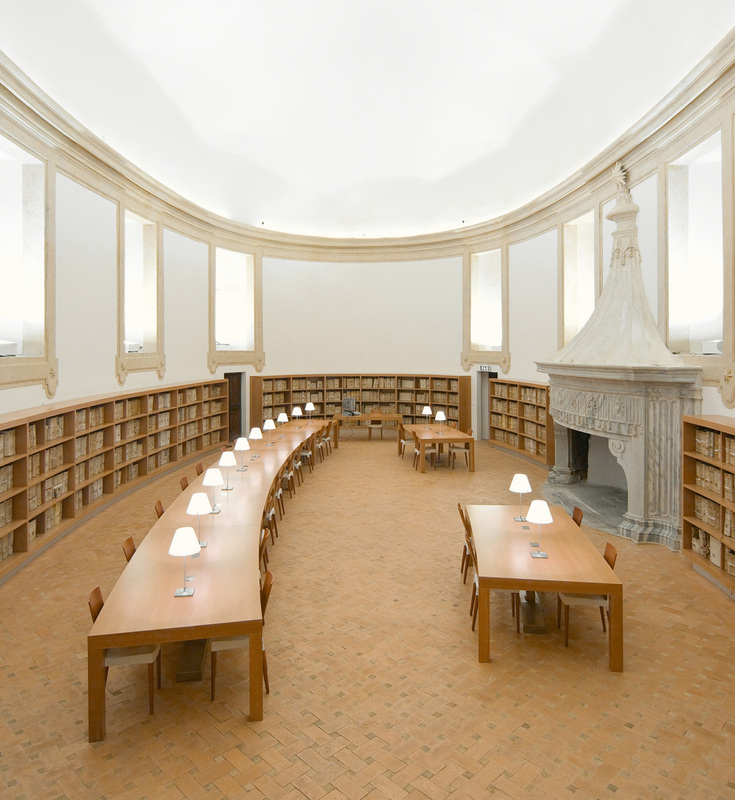 As a Member of the International Council of Archives, it also promotes joint research projects with historical archives of other european capital cities. The Archivio Storico Capitolino is located in the monumental complex of the Roman Oratory, Borromini’s masterpiece along the ancient Via Papalis, the route that connected St. Peter’s to St. John at the Lateran. The construction of the Oratory began in 1637, on the area of the confraternity of the Filippini houses, next to the 16° century church of S. Maria in Vallicella. The Oratory – initially the residence of the confraternity, also referred to as the Congregation of the Oratory, founded by Saint Filippo Neri – has had various uses. After the seizure of Church property in 1873, the State confiscated the building and assigned it to the Municipality of Rome. It was first used as Courthouse and, subsequentely, as lodgings for the Royal Guard. 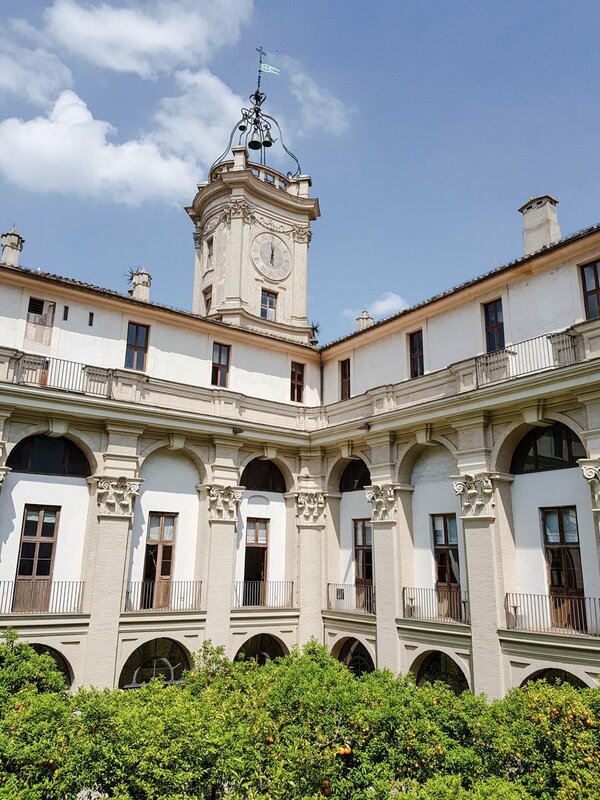 In the 1911 it eventually became available to the Municipality and since 1922 it houses the Archivio Storico Capitolino. 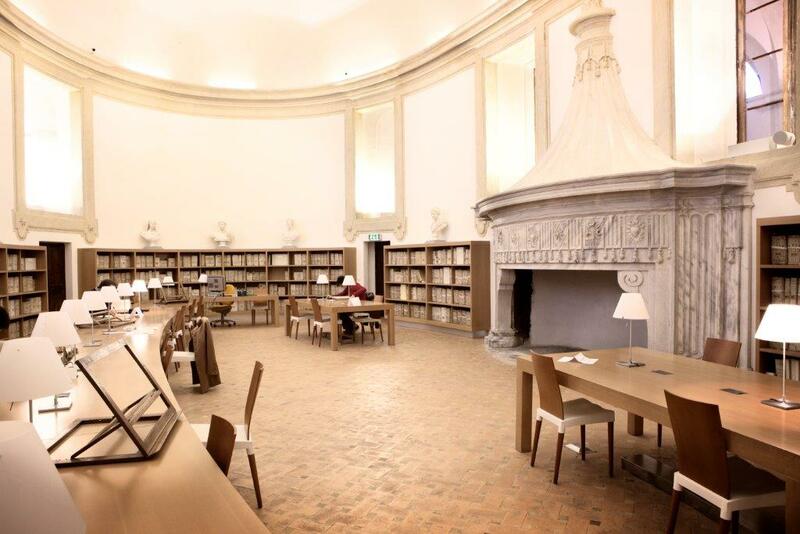 The reading Room is open to the public Monday through Friday from 9.00 a.m. to 4.00 p.m. Archivists and librarians provide advice and bibliografic information on all the collections housed by the Institution. 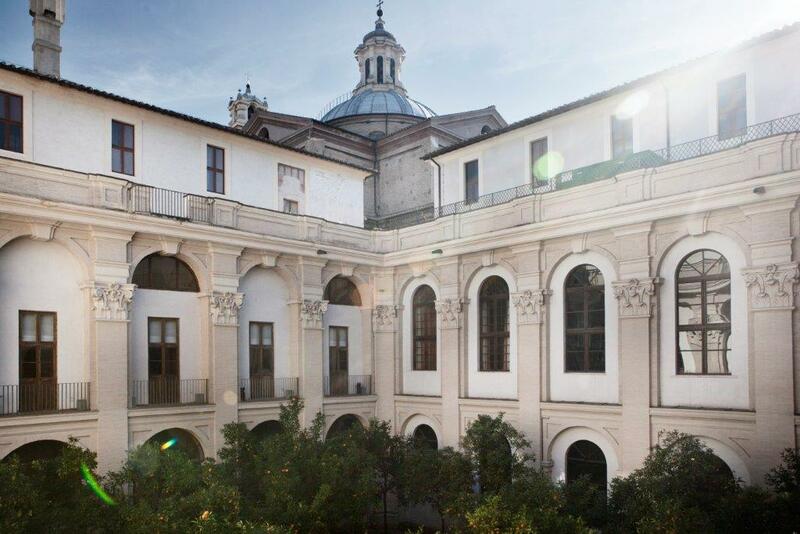 The Archivio of Camera Capitolina, the old council ruling the city, houses the papers documenting the municipal administration from the Renaissance to the reformation of Pius IX in 1847, when the Comune Pontificio was created. The new powers are documented in a plentiful documentation where can be found 76 headings. The national unification and the role of Rome as capital changed the administration and after 1870 office were reorganized. The documentation produced now make up the Archivio Post-Unitario. Its collections include the minutes of meetings of the Municipal Council and its deliberations, the Contracts signed by the Municipality, the papers of Mayor’s Office and many other series. Set up by Urban VIII in 1625, is made up of the certified copies of deeds drawn up in Rome in front of and with the seal of a notary from 1625 and 1871. 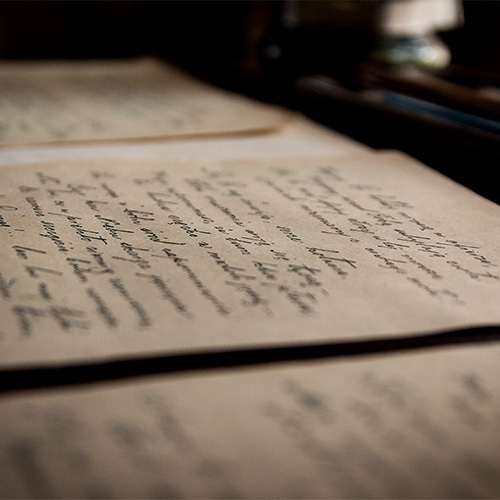 Furthermore, there are about 1.000 volumes of original notarial documents, signed starting from 14th century. Its consultation is made simple by alphabetically ordered indexes, listing names of notaries and dates of deeds. Was set up in the late twenties with the merging of the old Library of the Roman People – established in 1523 on the Capitol – and the Biblioteca Capitolina – founded in 1871 to collect the printed material of the municipal offices, mostly periodicals, newspapers and publications necessary to a modern administration. Over the years, a large number of texts on the economic, political, and social history of the city were addedd. 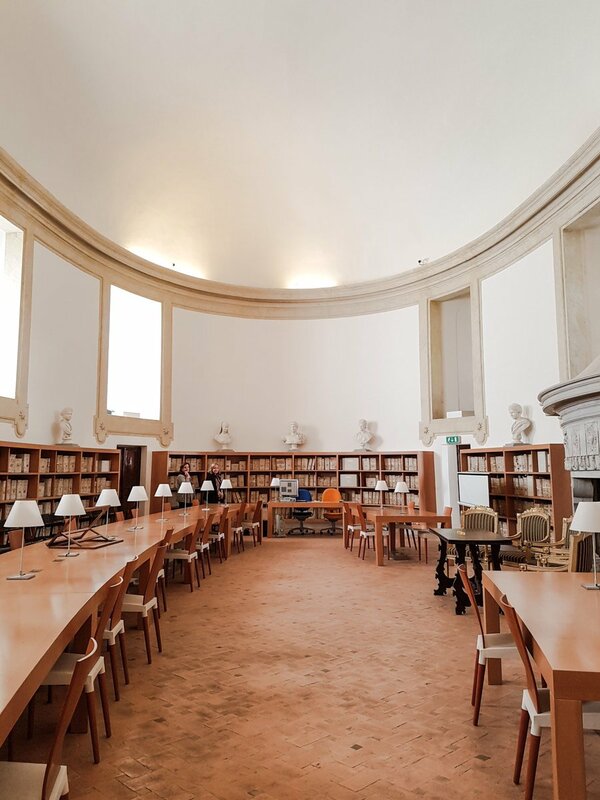 Currently it holds 130,000 volumes, including more then 600 editions dating back to the 16th century, a complete set of Roman Maps and several folders of etchinggs and drawings. Was set up in 1970 on the centennial of Rome as capital of Italy. 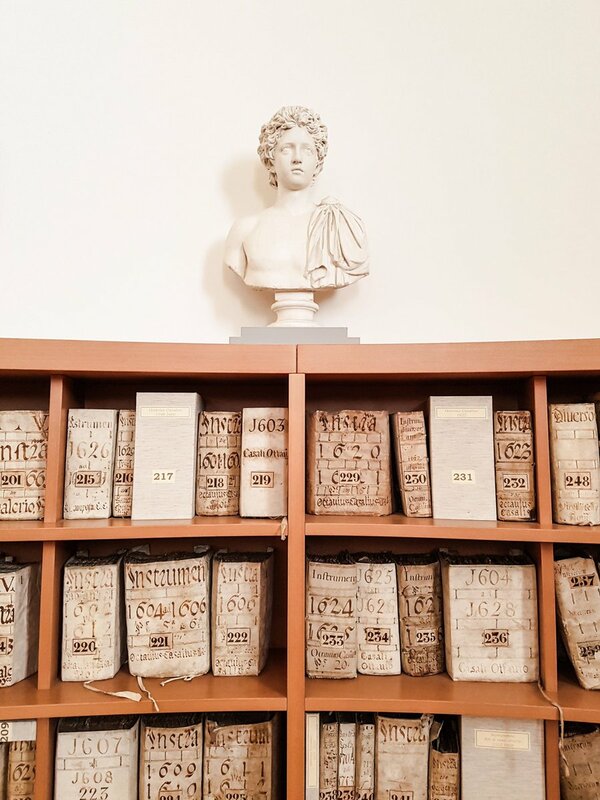 It houses a collection of about 2,000 periodical and 190 dailies published in Rome. Some of the issues are particularly important for the completeness of the collection to which they belong.